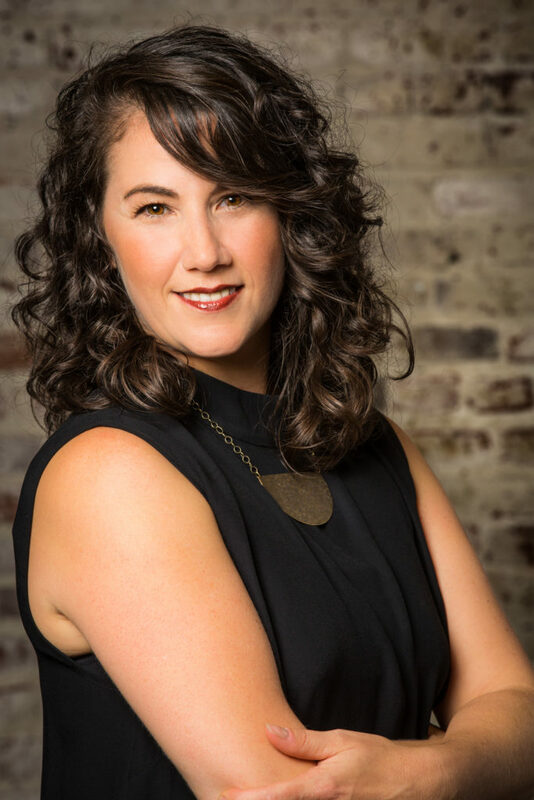 A proud Los Angeles native, Cheyanne Sauter has been a nonprofit professional for over 20 years. Her expertise lies in program development, fundraising, and building relationships, and she has worked with diverse populations. Her previous positions include Associate Director of Development at Foundation Fighting Blindness and Assistant Director of Fundraising at LA Conservation Corps. Her true calling lies in working with and supporting artists, and in early 2000, she answered this call by co-founding Gallery Row alongside three founders. In July 2013, Cheyanne joined Art Share Los Angeles as an unpaid Interim Director to revitalize this nonprofit whose existence looked bleak after the recession. 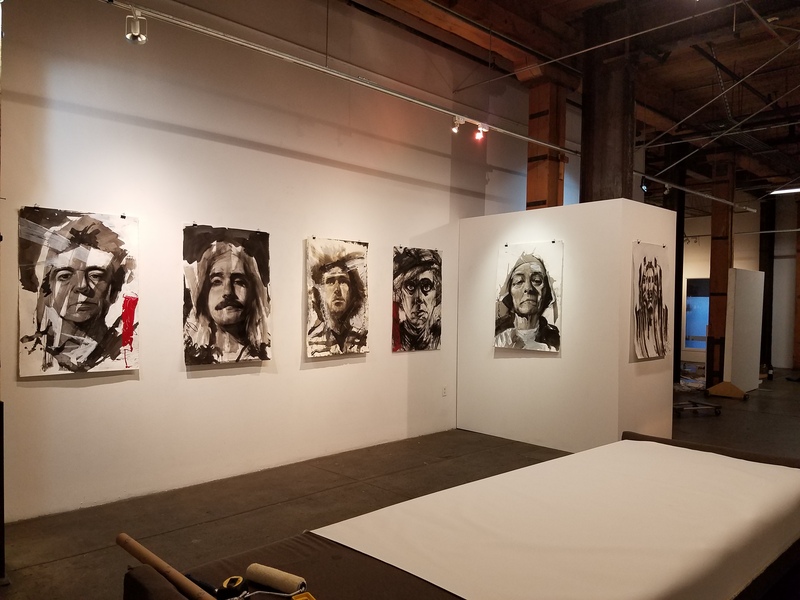 Within the next two years, she developed a viable programmatic model that supported 200 visual and performing artists annually, and rebuilt Art Share L.A.’s reputation as an invaluable cultural resource for emerging Angeleno artists. 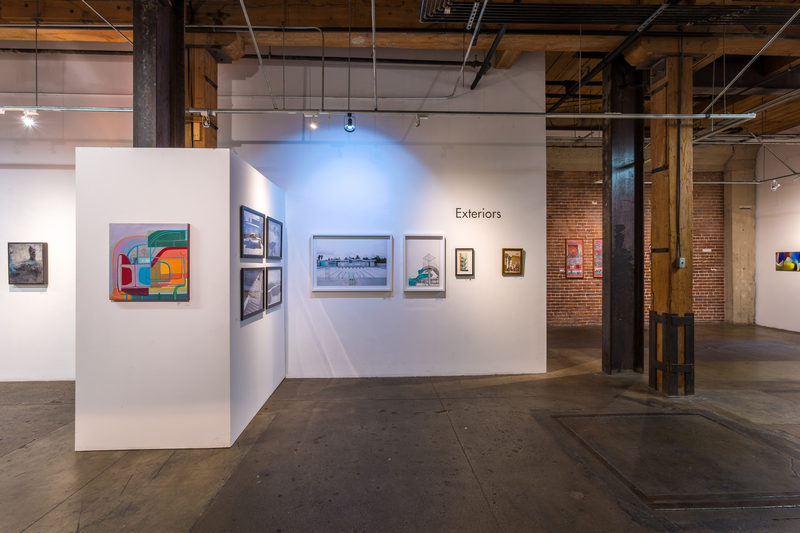 Today, Art Share L.A. has a staff of six and offers diverse programming that engages hundreds of emerging artists to create, exhibit, and share their work with thousands of art lovers annually. Cheyanne has served as a member of the executive team for the Cultural Stakeholders Committee, whose goal is to provide visibility for the arts and preserve and promote Los Angeles’ culture and heritage. She currently sits on the boards of the Los Angeles River and Business Association (LARABA) and the Arts District Business Improvement District (ADLA). Art Share L.A.’s mission is to support artists by providing a creative environment for them to reside, develop, perform, and exhibit. Art Share L.A. inspires artists and provides connection to the community for shared benefits. 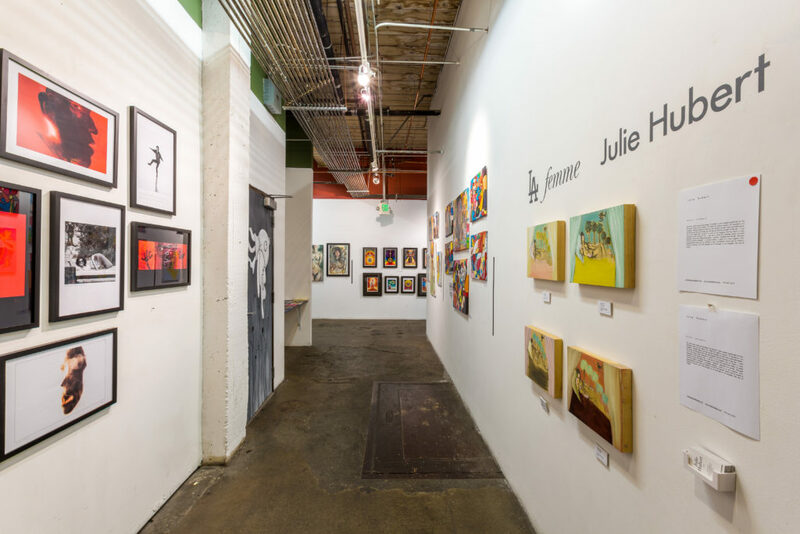 Since early 2013, Art Share L.A. has been committed to being a thriving community arts space in the Arts District. 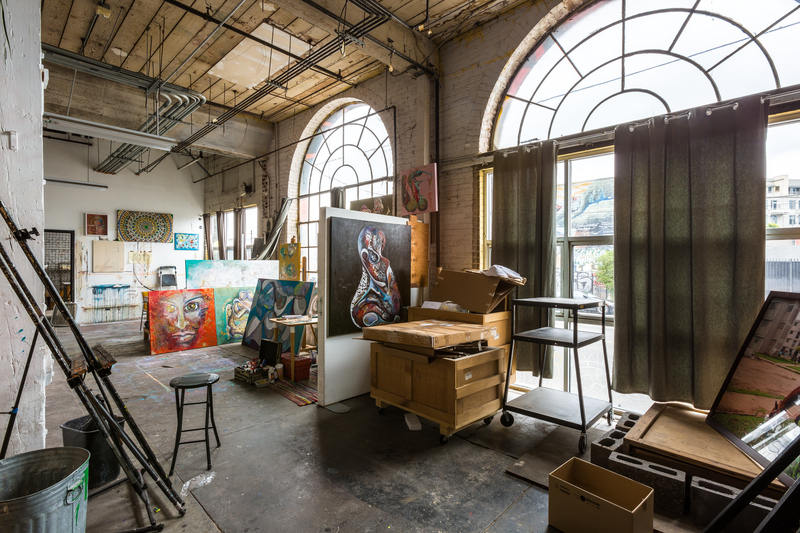 IIts unique blend of affordable housing, studios, and performance space for qualifying artists makes it an exceptional and much-needed force in the development of artists not fortunate enough to have the backing of a major gallery or wealthy patron. Art Share L.A. empowers those excluded from the exclusive fine arts circles to explore creativity, hone their crafts, and develop professionally. Join us in a conversation with Cheyanne as we discuss problems of fundraising in the arts sector, most rewarding and toughest parts of her job and getting a closer insight as to how Art Share L.A. works. AMM: You have experienced a great deal of success as an art curator, nonprofit professional, program developer, fundraiser etc. What drives you in your career, and how do you reconcile the creative and business sides of your job? CS: To be fair, I am not a professional curator, I have had access to the best curators in Los Angeles and some of their rich talents have rubbed off on me. I will, however, take credit as a nonprofit professional. Need drives me. When I came to Art Share I saw an abundant need for artists to share their works. Artists are the true voices in our world and if we don’t give them space to shine, their voices will be lost to history. The more room we give them, the louder they reflect our society. I used to think that I was not a creative person but only able to harness others’ creativity. Now, I see that it takes creativity to build programs to meet the needs of others. I’m going to sound crazy, but I love administrative work! Building a budget, creating a cohesive filing system, contract development – all of these things make the creative economy move and grow. I often say, I only got this job because I type fast! AMM: Could you share some of your experiences in fundraising? What difficulties do art organisations face these days in terms of sponsorships and funding, generally and particularly in LA? CS: Raising money is never easy. The United States is one of the few countries without a Ministry of Culture, so there is very little state-sponsored art programming for adults. Art Share supports emerging artists, who by nature, are adults. Americans value funding nonprofits for kids programming, but rarely are there existing lines of money for adults. I’m still trying to understand this, but we aren’t supporting our kids growing into professional artists. We are trying to educate funders on this shift, but it’s a very difficult hurdle to overcome. Nonprofits have to create streams of revenue from their services, not from who they serve. If you can create a business model that allows you to be healthy then funders will want to join the success. Artists are flocking to Los Angeles for opportunity. We are becoming the largest creative economy in America. Luckily, Art Share is at the hub of this excitement so individual donors and corporations are willing to support our endeavors. 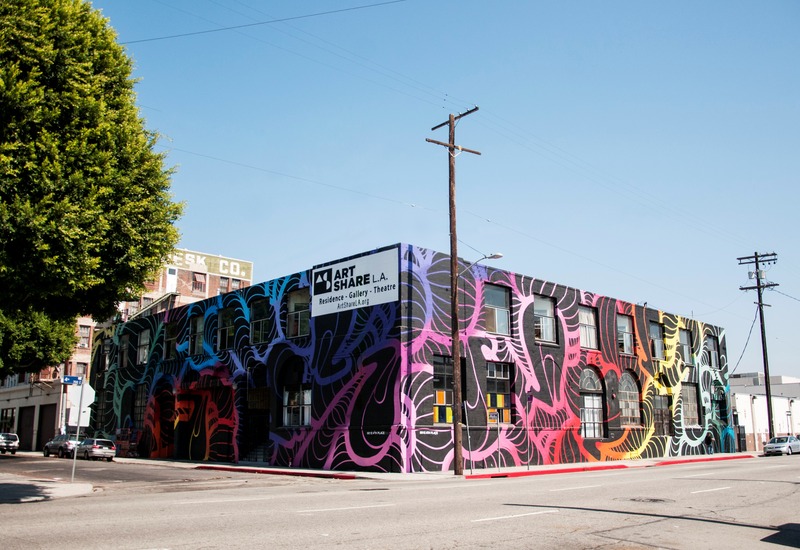 AMM: Since early 2013, Art Share L.A. has been committed to being a thriving community arts space in the Arts District, which provides a much-needed force in the development of artists not fortunate enough to have the backing of a major gallery or wealthy patron. We greatly respect and admire such a contribution in the art world. Could you share more thoughts on the Art Share L.A. community approach? CS: I am always amazed at how many people live in our world. 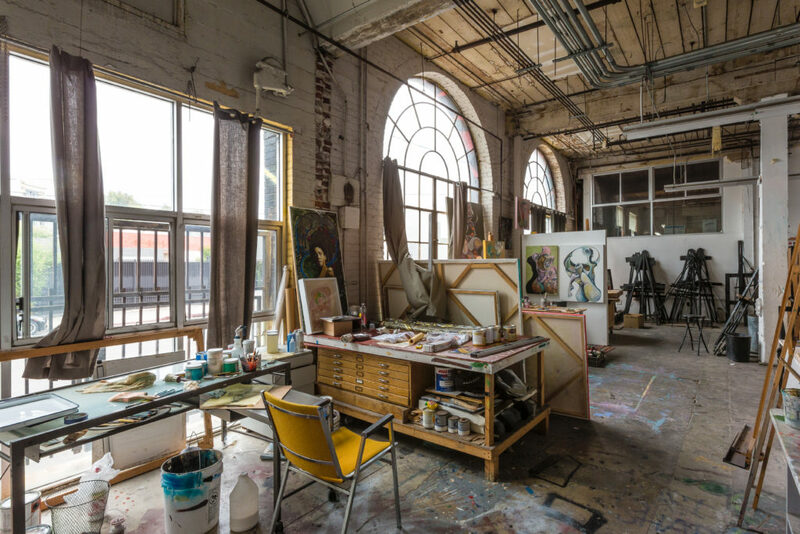 Art Share hangs 200 artists per year and sees about 300 new artists in each submission process – roughly 800 artists each year. We are not even beginning to scratch the surface of what the artistic community has to offer. Art Share is so busy these days and we are always going to be short-staffed. We probably don’t do enough to engage the community. The amount of programming we offer warrants a staff of 15. We would have a full marketing, programming and fundraising department. For now, we offer access. The more you put into the space, the more of a community you get out of it. 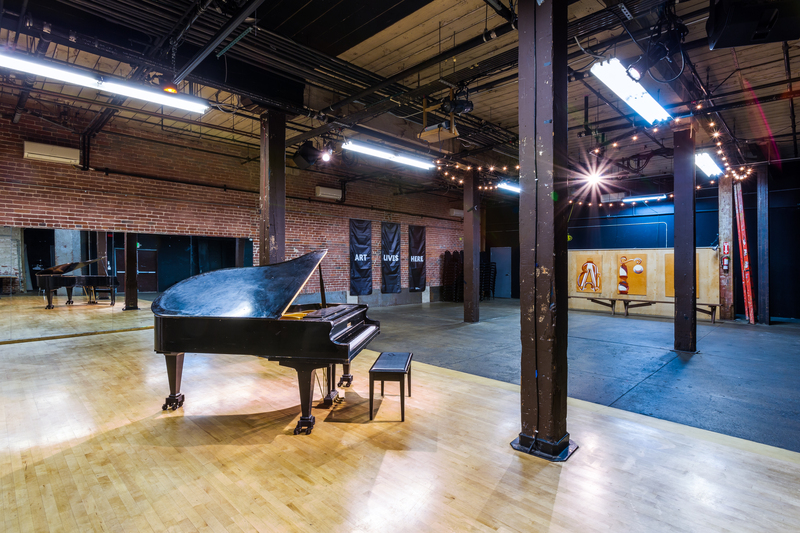 AMM: The building where you are based has quite a history and stands right in the heart of the Arts District ‘hive’. What do you think is special about the area and what does it bring to the Art Share L.A. community? CS: Art Share was created 20 years ago as a way to harness the energy that was happening in the area. Chip Hunter, our founder, wanted to make sure that there would always be a place for artists to live, work and share their craft. Being right in the center of one of the booming areas in Los Angeles is fortuitous. We saw it 20 years ago and it took others that long to find what we see. If you come to the Arts District, you will notice a few things – the buildings are around 5-7 stories tall, people walk slower, the homeless in the neighborhood are known by name and there is me hanging out the window on the corner of 4th and Hewitt saying hi to a neighbor. It’s a suburban neighborhood inside a metropolis area. We slow down here so that we can hear each other. 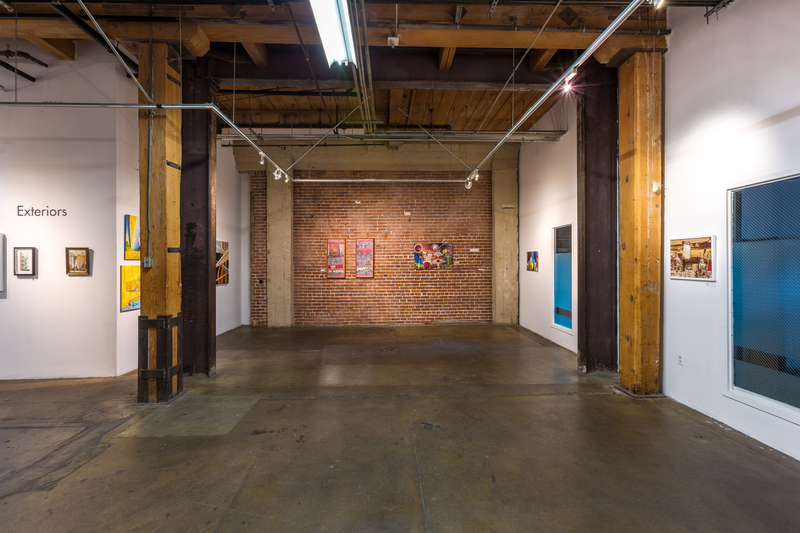 AMM: Art Share L.A. offers a diverse educational program of events alongside its exhibitions and studio spaces. How do you manage to combine so many opportunities? CS: It’s all in the building! We are so fortunate to have this 28,000-square-foot space to be our wonderland. An important element to Art Share is that we do not curate the entire space. Much of our programming comes when a creative person sees our space and the opportunities available. Our space offers a theater, classrooms, studio/work space, a gallery and a lot of white wall space. I wish we had the time or the staff to curate more of the space. For now, we have 5-7 performances in our theater, 4-6 classes, and 2 gallery shows exhibiting each week, which keeps us quite busy. 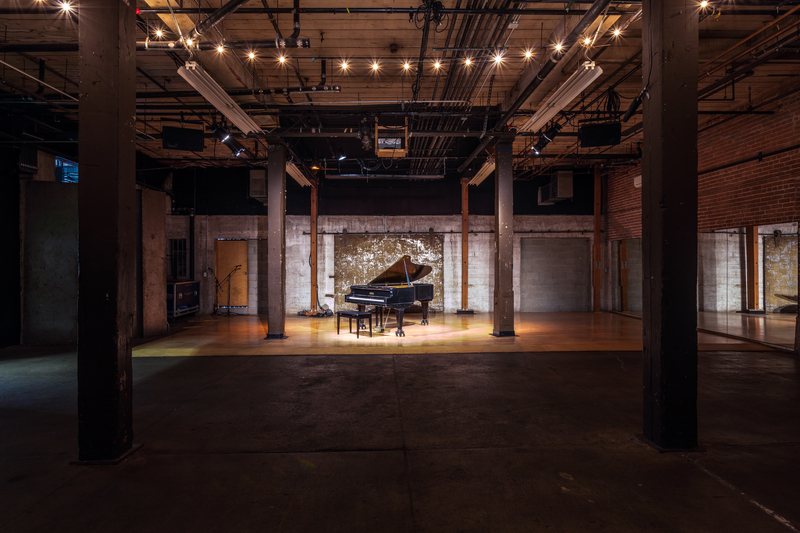 The events we host are nothing short of amazing – it’s art in a different form. My favorite series right now is “Say Her Name” a poetry slam about Sandra Bland, one of the many victims of police brutality in our country. We also host many “new music” genre collectives. Not many bars or jazz clubs will allow these groups to play, but they fit our space perfectly. Our programming is never boring. It’s commentary of those who belong but not everywhere. AMM: What’s the most rewarding part of your job? And what’s the toughest part? CS: The most rewarding part of my job is standing back and watching it all work. In 2013, Art Share was just trying to survive. There was little programming and few shows – now, we have a team of 6 and volunteers who would die for us. The organization, the building, the management — it all makes sense now. I helped create a machine that works. The toughest part of my job is deciding what to do next with the resources we have today. AMM: We absolutely love the concept behind Art Share L.A. and feel that there is a lack of such art organisations in other countries. How and where do you see Art Share L.A. developing as a non-profit organisation in future? Do you see your model as a catalyst for art driven regeneration schemes elsewhere in the US and internationally? CS: Absolutely! I think the concept of Art Share is amazing and can be replicated and duplicated everywhere. If you start with safe, affordable housing for artists you can really go anywhere from there. I do think the best part about Art Share is that we primarily focus on local artists. There are artists everywhere who need a space like this and there are audiences who want this unique, individualized programming. I also believe that Art Share is an altruistic organization by heart. I don’t know which exudes that, me or the building, but we aren’t here for personal gain. We also believe that paying artists a living wage is important and we are here to teach others that artists’ work and time must be paid for. In 2016, we paid out $60,000 in commissioned works and paid gigs. We only see that number growing. AMM: In 2016 you were quoted as seeing a dichotomy between ‘cool’ and ‘edgy’ art; a year later has a particular direction emerged? CS: Curators are going to hate this, but art is becoming more immersive. Social media and the younger generations needing to be a part of the process is contributing to this trend. I think we can use that to our benefit and have immersive installation draw people in and then hit them with some amazing art! Interview by Maria Zemtsova for artMaze Mag.